In the 1970s, a boy named David became famous for living inside a plastic germ-free environment. Known as the “bubble boy,” David suffered from severe combined immunodeficiency (SCID), a rare genetic disorder that weakens, or in some cases eliminates, the immune system. Babies born with SCID have severe, recurrent infections and usually die within one year of birth unless they have a successful stem cell transplant. Although many people think of the “bubble boy” when they hear the word “immunodeficiency,” SCID actually represents a very small percentage of immune disorders, says Jim Connelly, M.D., assistant professor of Pediatrics. Within the last two years, Connelly notes, 34 new immunodeficiency diagnoses have been discovered, bringing the total to more than 300 genetic mutations known to cause an immunodeficiency disorder. 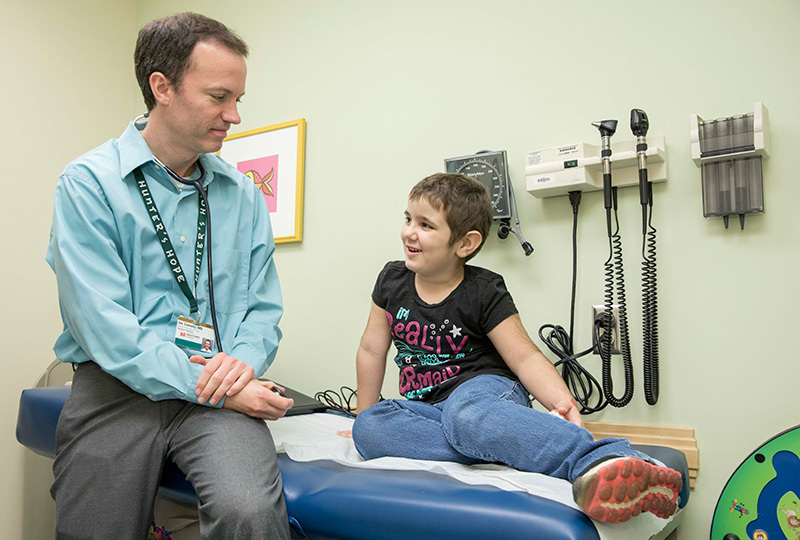 In order to meet the demands of this growing and complex population of patients, Connelly and his colleagues at Monroe Carell Jr. Children’s Hospital at Vanderbilt designed the Comprehensive Hematology, Immunology, and Infectious Disease Program (CHIIP). Patients coming to the CHIIP clinic have the opportunity to see several specialists during a single clinic visit, and to know that these specialists are working together to treat their unique disorders. In the first few months since the CHIIP clinic has been operational, Connelly says the team is getting great feedback from patients, families and referring physicians. CHIIP is the only clinic of its type in the Southeast. Connelly led a similar program at the University of Michigan before joining the Vanderbilt faculty in January 2016. “These are complicated patients with rare diseases, and they absolutely need to be at centers like Vanderbilt to care for all of their diverse medical needs quickly and completely,” Connelly says. Members of the CHIIP team include Connelly, Dan Dulek, M.D., Donna Hummell, M.D., Yasmin Khan, M.D., Carrie Kitko, M.D., and Heather McDaniel, M.D. Sarah Neumann, R.N., BSN, is the program coordinator.